Clothes have come a long way since humans first started wearing them over 100,000 years ago. Workwear itself has experienced a dramatic evolution in the last 60 years from the early days of the Boilersuit and Coveralls to 21st century workwear products that are now much influenced by streetwear fashion and fabric technology trends. 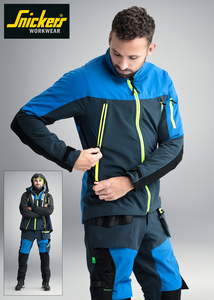 Think about it, how much end-user research went into a “Boiler Suit consisting of a single piece of clothing that combines trousers and a jacket to be worn over clothes in order to protect them from dirt while working”, or a “Bib-and-Brace Overall - a pair of trousers with braces attached”? The simplicity of the some workwear designs and their terminology – then and now - has long been overtaken by research and development, fabric technology and end end-user demands that are all at the heart of today’s serious workwear development. Designing working clothes for professional tradesmen and women has become a something of science in itself, with fabrics and garments developed to suit everything from different working environments and weather conditions to body shapes and personal wellness on site. The workwear industry is awash with technology and terms – AVS, APS, Coolmax and Wicking fabrics, Wearable and 37.5 Technology – even things like integrated electrostatic dissipative protective benefits. Enclothed Cognition is basically the influence that clothes have on the wearer's mindset. Essentially, it’s said that clothing can enhance how we feel about ourselves and how it can improve our performance at work. Researchers have identified a series of mindset changes that occur when we wear certain clothes. It’s said that the clothes we wear and how we wear them affect our behaviour, attitudes, personality, mood, confidence, and even the way we interact with others. For instance, compare the guy who wears baggy jogging bottoms and an old sweatshirt to the one dressed in good looking working clothes, properly designed for working on site. There are both making a statement – about themselves, their mindset and their attitude to their work. However, even if you use workwear, poorly designed and ill-fitting working clothes can have a serious affect – not just on your mood and effectiveness on site but your overall health and wellbeing. If they’re loose, they’ll more than likely slip down and cause builder’s bum syndrome. But tight trousers or those done up with a tight belt can be problematic by causing pressure on the stomach – particularly if you’re bending or working in a tight space. It’s known as intra-abdominal pressure, which can trigger acid reflux, which pushes stomach acid back up where the esophagus and the stomach meet, causing heartburn. It’s a common ailment not just in older adults, but in as many as 37% of 20 to 30 year olds. Even someone who isn't prone to acid reflux can develop reflux if they wear tight clothes over as little as a two-week period. Apart from potentially causing a bad back, tight trousers around the lower abdomen and the upper thigh can also cause a condition called meralgia paresthetica which is an irritation of the nerves down the front and outside of the thighs, Symptoms can include burning sensations, pain, tingling in the thigh area and hypersensitivity to the touch. Tight trousers can also cause severe abdominal pain, constrict the abdomen and put pressure on the intestines which can interfere with their normal bodily function leading to multiple symptoms, including gas distention, constipation, pain, and heartburn and indigestion. Tight clothing can also impede the free-flowing circulation of blood within the body, potentially causing a host of health problems including blood clotting and numbness. Hence, clothing should always allow the blood to move naturally, and in ways that do not restrict or break blood vessels. Over a longer period of time, wearing tight clothing or working in confined spaces or with cramped body positions whereby your clothes tighten around you, could also have an effect on blood circulation and cerebrovascular reactivity which relates to the dilation ability of arteries in the brain. This could potentially increase the risk of stroke in those adults who have a risk of that condition. However, if you do begin to feel any of those symptoms while you’re working on site, it’s probably a good idea to give some thought to your clothing choices to confirm that what you’re wearing at work is not the source of the problem. 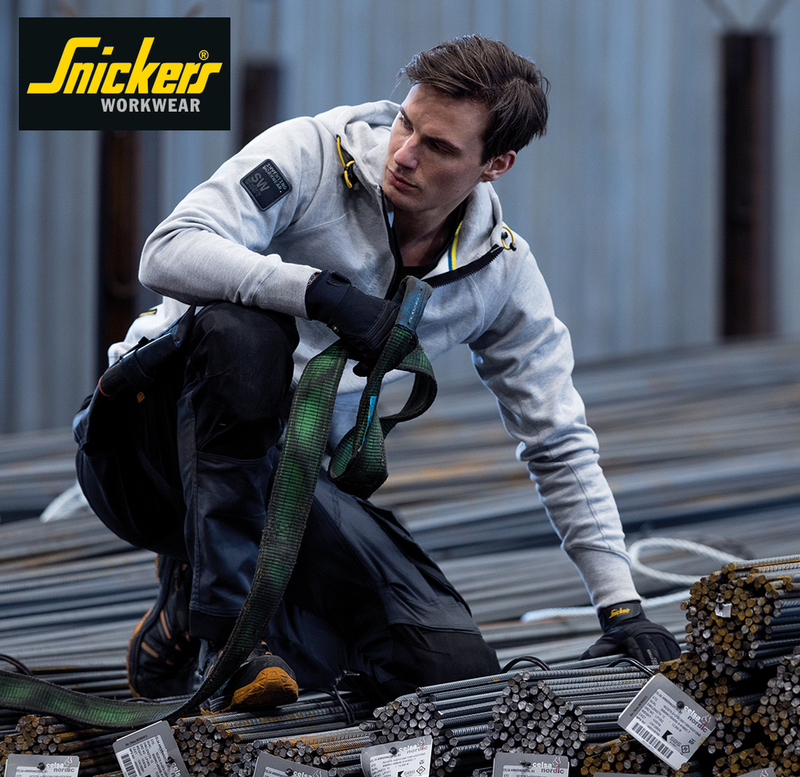 Take a look at the new types of workwear that have comfort fabrics built into the garment design to compliment the likes of Cordura and GoreTex fabrics that deliver durability and foul weather protection. Our ‘Comfort Stretch’ fabric is being integrated into our newest working clothes to deliver maximum freedom of movement however and wherever you’re working - even in the most confined of workspaces. We also add it to specific areas of the clothes – such as around the waist – to facilitate ventilation and enhanced comfort. fit when needed and, ultimately, it makes the clothes much more comfortable to wear. When you put on a full comfort stretch set of clothes such as combining the new jackets and trousers, we want it to feel almost like a second skin. The clothes will not constrain your movements. On the contrary – they’ll follow your every move. We also integrate ‘Comfort Stretch’ with Softshell fabrics so that the clothes can cope with changeable weather such as wind and lighter rain. When we mix it up further with a double weave stretch fabric, the garment becomes better ventilated. This is exactly what the feedback from tradesmen and women have told us – they want maximum comfort and functionality. So we’ve developed these hybrid garments that use a combination of materials to deliver precisely what these tradespeople want. In conclusion, if you’re not careful, the clothes you wear on site can seriously affect your health, but if you do wear properly designed, good fitting clothes you’ll approach the job in hand with the kind of positive mindset to get the it done efficiently and comfortably.